If you are feeling frustrated by the lack of consistent and predictable income in your expert business, this program is for you. You will learn how to build your business in less time without spending a fortune so that you can enjoy more income, influence, and impact. 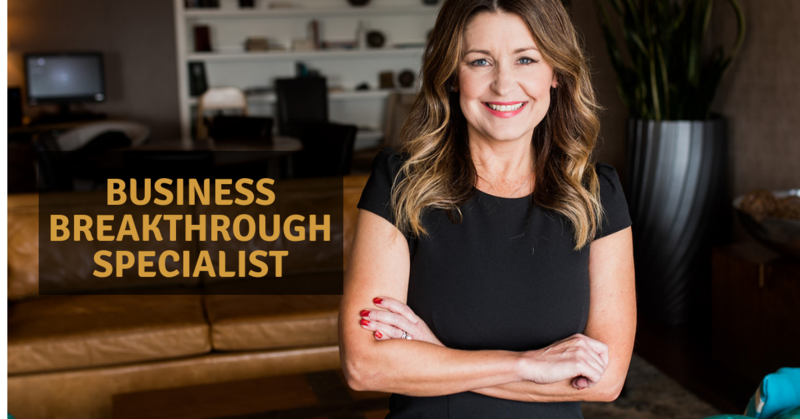 If you are a business coach, life coach, health coach, consultant, or service based professional, business breakthrough specialist Jen DeVore Richter can help you in less time than traditional coaching. Jen will break down her proven process for building the back-end of your business and monetizing FAST. If you desire high-ticket consulting clients, a profitable group coaching model, or seek to generate more income for your service based professional business, this program is for you. 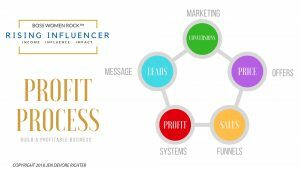 Using her proprietary Rising Influencer Profit Process™, Jen’s clients gain a clear path to profitability in less time. In under 45 minutes, Jen can deliver a business breakthrough outlining exactly how your business could reach your revenue goals without spending more. In under 30 days, Jen and her team can put your business on a path to profitability through our done for you Rising Influencer Profit Plan™. If you are frustrated from not being able to spread your message and shine your light because your business isn’t reaching its profitability potential, then this your call to arms. We invite you to make a change starting today, starting now.